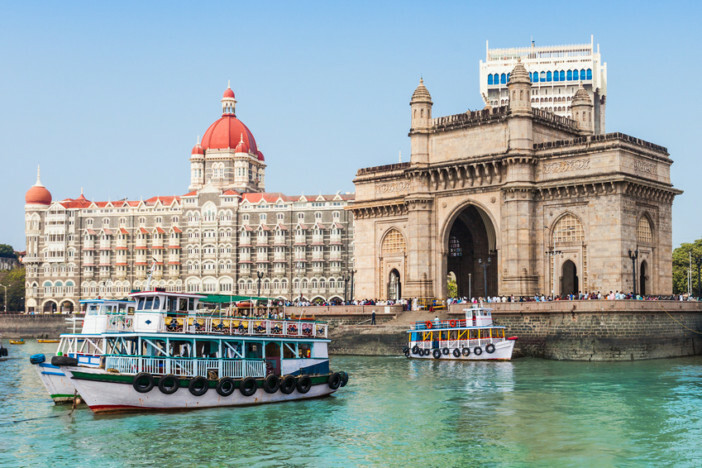 Mumbai (formerly known as Bombay) is considered one of the world’s most vibrant and exciting cities. Endlessly fascinating, always changing – in fact, two visits six months apart may reveal two completely different cities. Full of colour and historic architecture, Mumbai is gloriously photogenic making a camera an absolute must when visiting this bustling, thriving metropolis. The city has extremes of wealth and poverty that you won’t find in many other places which can prove something of a culture shock to less-seasoned travellers. When you arrive be prepared for your senses to be wowed by breath-taking sights, intoxicating smells and an experience like no other. Perhaps the most stunning place to watch the sun set in all of India, take to Marine Drive in Chaupati, Mumbai. Overlooking the Arabian Sea with the bustling metropolis stretching out either side of you – settle down with your friends and take in the mystical twinkling of the sun as it sets over the fascinating stretch of water. A popular spot with locals and visitors alike, expect to see loads of street food vendors – perfect for enjoying a light bite at the end of a beautiful day in Mumbai. This monumental train station is awe-inspiring and exuberant in equal measure – not to mention absolutely overflowing with people. The gothic monolith is the city’s most extravagant building and a slice of colonial-era India. 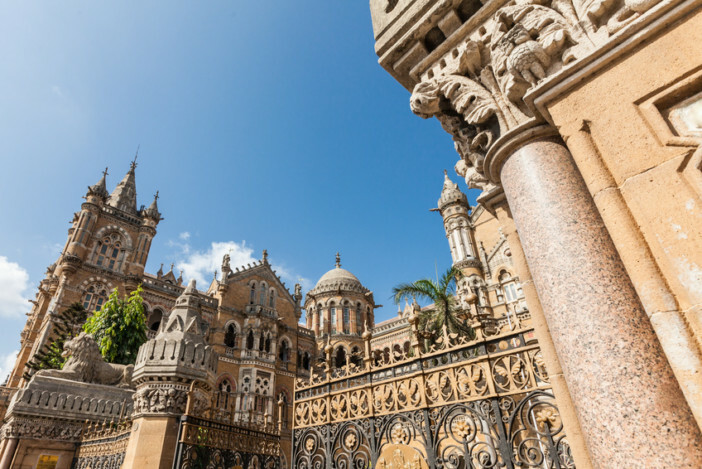 It’s a beautiful melting pot of Victorian, Hindu and Islamic architecture with domes, turrets, spires and stained glass making it well worth a visit. 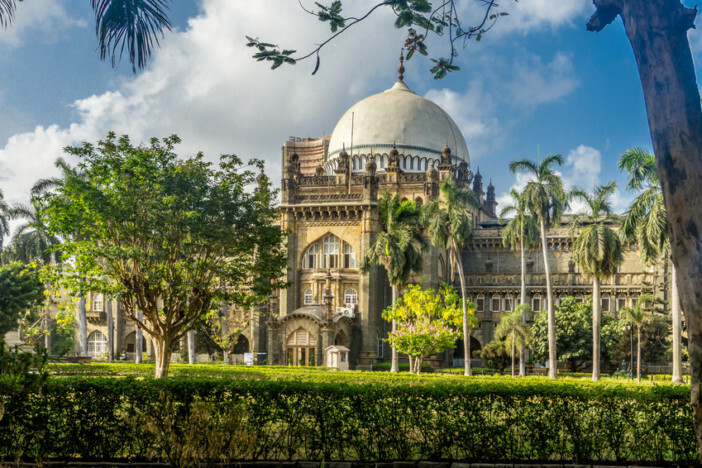 This stunning Renaissance-style building was Mumbai’s first ever museum showcasing the city’s cultural heritage and history. The permanent collection includes miniature clay models, dioramas, lithographs, and rare and unusual books that document the life and the history of the city. Renovated in 2008 (and winning Unesco’s 2005 Award of Excellence in the field of Cultural Conservation in the process), this landmark building is staggeringly beautiful with gilded ceilings, ornate columns and elaborate chandeliers. It also offers a little peace and quiet in the heart of one of the world’s most frenetic cities. Once you’ve seen the major sights, it may well be time to see something a little off the beaten track. 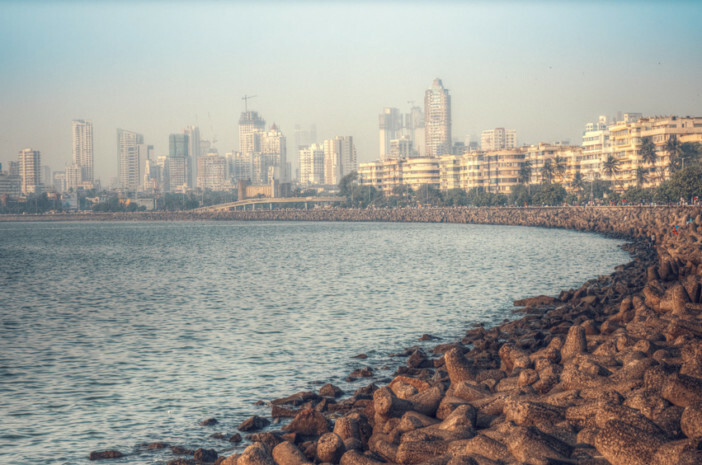 Mumbai has hidden treasure by the bucket load so be sure to check out some of the truly unique experiences this city has to offer. It may sound unusual to say you plan to cycle through Mumbai but there is a way to do it and it starts at midnight. That’s right, one of the most unusual ways to see this thriving city is by bike at night. Tours start at midnight and finish at sunrise giving you a peaceful and unique take on one of the world’s most densely populated cities. Take an afternoon nap and prepare yourself to see all of Mumbai’s palaces, temples and gardens while the rest of the city sleeps. If you’re looking to find the hippest spot in Mumbai then you couldn’t do better than visiting Kala Ghoda. This stylish hangout is Mumbai’s answer to London’s Shoreditch and is home to numerous galleries, cafés and cool shopping spots. Pay Filter Shop a visit to browse cool Indian design. Considered one of India’s best gig venues, the Blue Frog is located in the Kamla Mills compound. The club blends acoustic excellence, lush, opulent ambient design with inventive cuisine and an excellent bar. Genres of music range from jazz, blues, funk, soul and Afro/Latin to electronic, club, rock, folk and lots more. Definitely worth a visit if you have a night free in Mumbai. After rushing around Mumbai – you’ll certainly need a bite to eat. Founded in 1871, the legendary Leopold Cafe is one of Mumbai’s oldest restaurants. Featured in the cult novel Shantaram, this mystical eating spot has entertained many a traveller and curiosity seeker. Expect a diverse and delicious menu with plenty of vegetarian offerings. Enjoy Murgh Kalimiri Kebab – a tasty chicken tikka style dish – or chilli cheese toast, each with a side dish of great ambience! 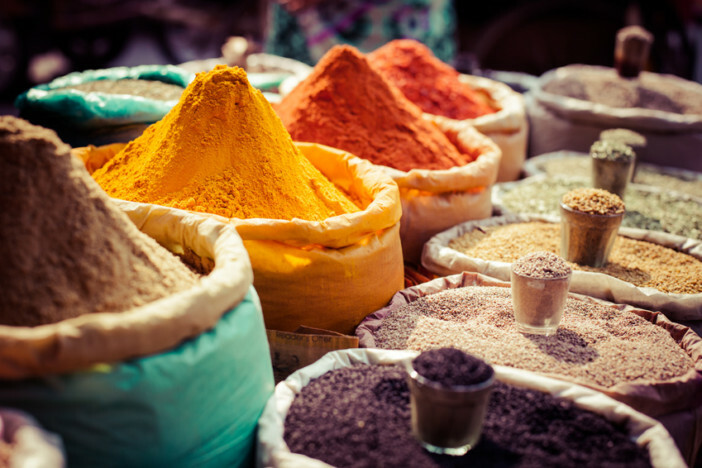 Us Brits tend to be more than a little partial to Indian food but the food you find in an Indian restaurant on the high street generally pales into insignificance when faced with authentic Indian cuisines. The Vada Pav is every Mumbai resident’s favourite snack. Think hot, potato patties mashed with garlic, chillies and coriander and dipped in chickpea flour, fried golden, before being laid in ‘pav’ – a springy white bap that’s well buttered, spread with coriander chutney and sprinkled with garlic and chilli powder. The Anand stall (located in Vile Parle West) whips up more than a thousand a day. While you’re there, grab a plate of rock-salted fried green chillies and a mini bottle of sweet lassi. Okay, ‘The Four Seasons’ hardly sounds like an authentic slice of Mumbai life but what it lacks in original Indian heritage, it more than makes up for with breathtaking decor. The elegant and luxurious San Qi (the three energies) restaurant will wow you with an impressive wine list and inspire your taste buds with a delicious menu including Sushi and Teppanyaki. One thing’s for sure, you certainly won’t be short of things to see and do in Mumbai, the only challenge is cramming it all in! 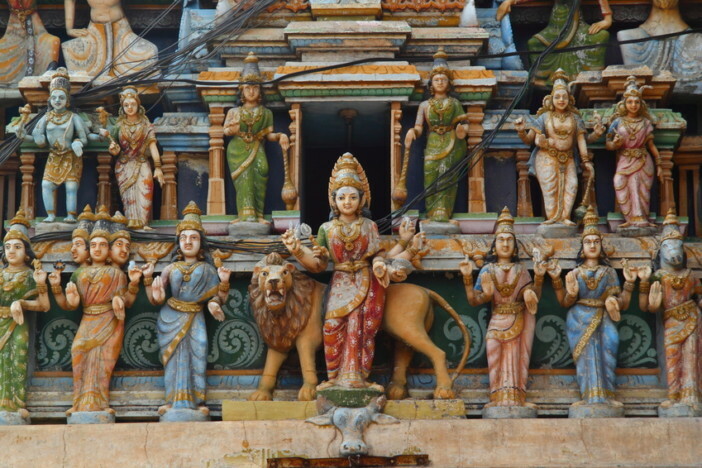 At Cruise1st UK, we’ve got some great deals on cruises to India. See the full selection of itineraries here or call our friendly sales team on 0808 274 6777.